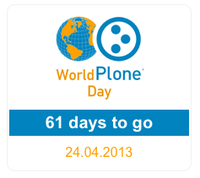 wpd.countdown is a portlet for promoting the upcoming World Plone Day 2013. To support the upcoming World Plone Day, we created wpd.countdown, a portlet counting down the days to the World Plone Day - 24.4.2013. Help us spread the word about the World Plone Day and embed the portlet into your Plone site. The installation is easy and documented on PyPi. The portlet has a nice configlet for customizing the date and the linked URL. If you host an WPD Event, put your link in. 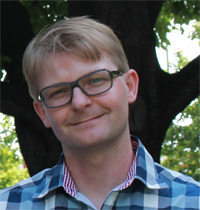 wpd.countdown was developed by Starzel.de based on wpd.mmxi.countdown by Simples Consultoria.